The day of this post is the Christmas Day, December 25 so let me show a picture of mouth blown, hand painted Polish Christmas ornaments. 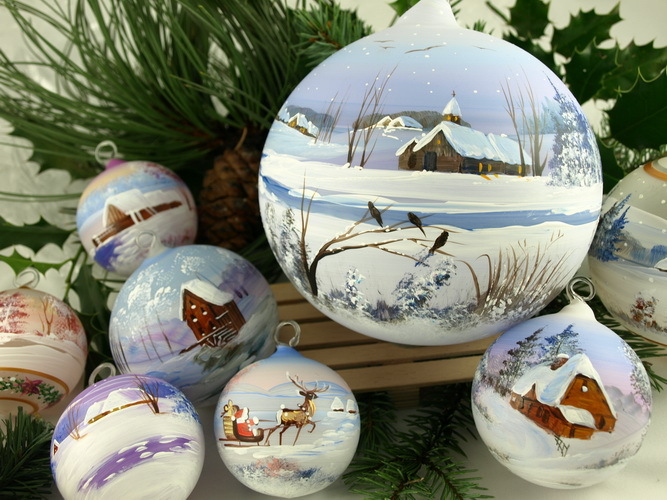 Poland has a strong position in production and export of hand made Christmas ornaments. Some like these on the picture are individually painted by artists and are great collectibles.